When I was a kid I collected baseball cards because the generation before me had nostalgia and money and they would and could spend ridiculous amounts of money on the baseball cards they had as kids but either lost, forgot or neglected. So, frankly my generation was set up believing that this was some kind of an "investment" along with comic books. Sucker bet. The thing that made baseball cards of Mickey Mantle, Willie Mays and my favorite player of all time and baseball's greatest humanitarian Roberto Clemente valuable was their rarity. Our Ken Griffey Jrs, Don Mattinglys, etc were a dime a dozen. The reality is the value in those baseball cards was the joy I got from them, the fond memories, the reminders of summer playing and watching baseball, and of course the stale and frankly alarming bubblegum that they came with. 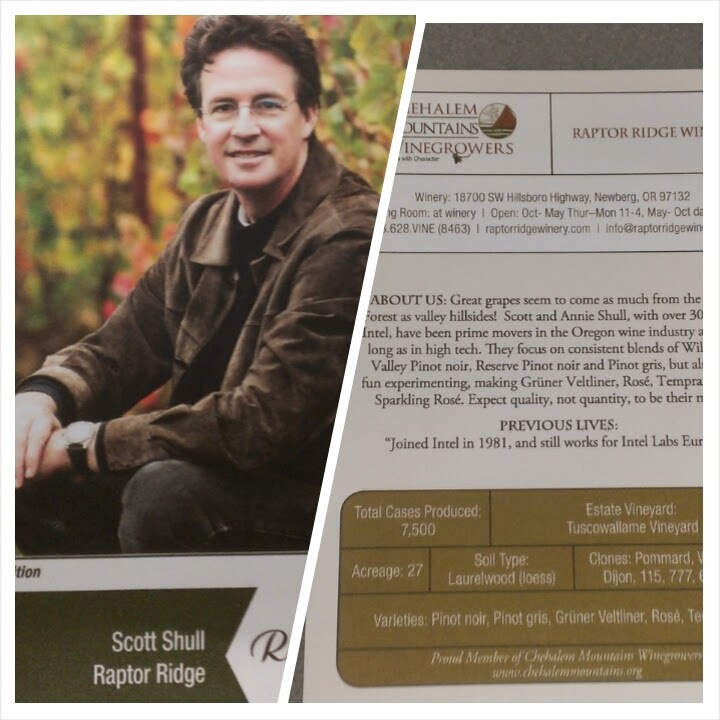 The folks in my favorite sub-appellation of the Willamette Valley are capturing that same essence in their Wines with Character Trading Cards. 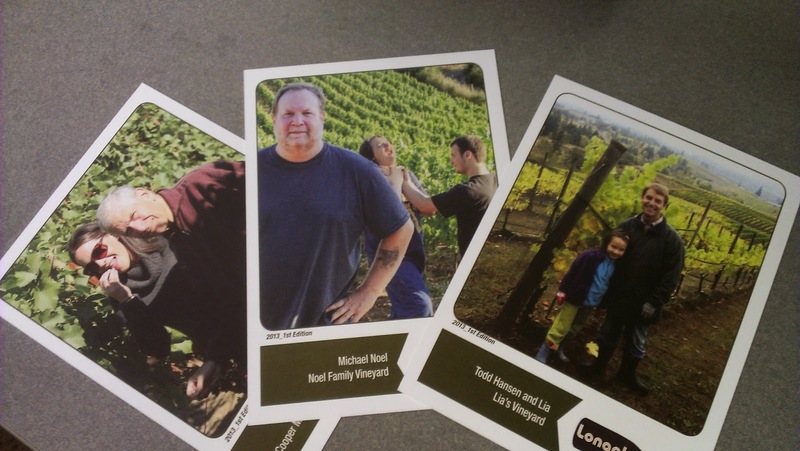 As a way to highlight the Chehalem Mountains AVA as well as the twenty eight individual wineries the cards feature an image on the front and on the back interesting "statistics" not batting average or on-base percentage, but soil type, case production, varieties and clones that are planted. The idea is "Visit, Taste and Collect" with each visit to the AVA and it's wineries you can request a card and collecting all of them could result in prizes including admission to the annual Chehalem Mountain Winegrowers grand tasting. Experiencing a wine is a sensory experience certainly, but behind that there is a story about a vineyard, a label and in many cases a family's commitment to their land and their wines. The cards tell the story of the AVA and the people who make it up. There are it's more established labels like Ponzi. Adelsheim and Chehalem, think of them as All-Star cards, as well as favorites like Raptor Ridge, Anam Cara and J.K. Carriere. It's evident that the Chehalem Mountains is about family and frankly a sense of humor. 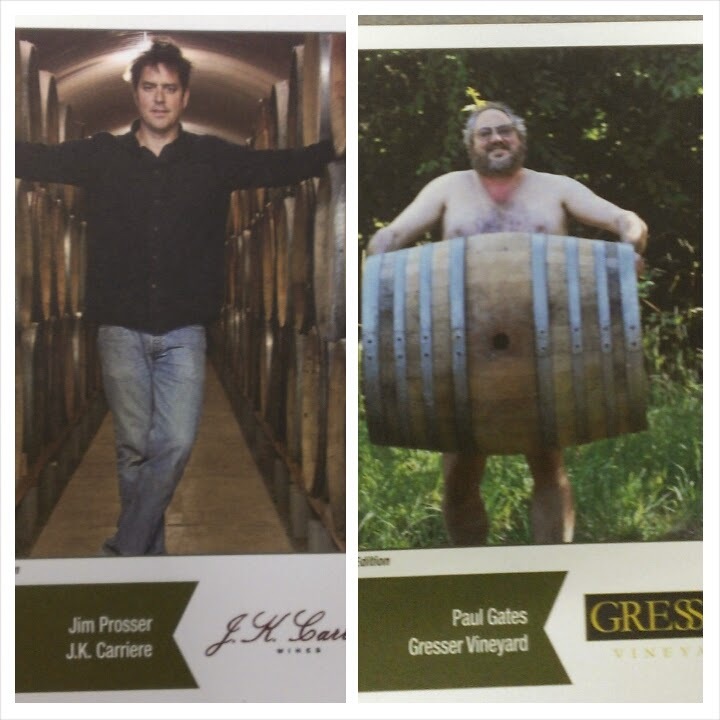 At least two of the cards are dangerous in terms of you potentially finding yourself seduced, whether it's by the disheveled bed-head look of J.K. Carrierre's Jim Prosser or Paul Gates's of Gresser Vineyard's chest hair and well, outfit. Collect em all and trade with your friends.